The Board of Covered California, California’s new health benefit exchange system created in compliance with the federal Affordable Care Act (ACA), met Tuesday in Sacramento. The board and stakeholders in attendance heard a variety of reports on the progress of implementation. According to the countdown on the newly launched website, Covered California is 307 days away from providing quality affordable coverage to Californians. A “Narrow Bridge” – that would provide coverage to individuals transitioning to and from Medi-Cal and CHIP, the families of those individuals whose income fluctuates between Medi-Cal/CHIP eligibility and Exchange eligibility, a projected 670,000-840,000 Californians. Covered California would encourage Medi-Cal managed care plans to bid to be the providers of the bridge plan in order to allow for a continuity of care and to allow families to stay together on the same plan. A Broader Bridge program would include all individuals up to 200% of Federal Poverty ($22,980 annually for an individual or $47,100 for a family of four), but would need to clear more hurdles for federal and state approval. Staff recommended first moving forward with implementing a Narrow Bridge, and estimated that they could have a program up and running by April 2014, and then later pursuing the broader effort. Secretary Diana Dooley spoke on behalf of the Brown Administration, saying that they would like to see a broader program, and advocates agree. The board voted affirmatively to direct staff to move forward as recommended. Staff reported that work is generally on target, there are some items that may be delayed. The inclusion of Medi-Cal functionality on the website may be delayed to January, rather than being available in October when Californians will be able to start enrolling in other Exchange plans. Additonally, the CalHEERS team is planning a usability webinar in early March. Staff provided an update on some pertinent federal rulemaking. The final federal rules did not change a dependent coverage loophole that calculates affordability of a health plan based on an individual’s premium and income without regard for the cost of dependent coverage – which may leave some family members without coverage and without ability to obtain subsidies for coverage. The federal government has also said that it will not release rules for a Basic Health Program until later in 2013, with final guidance expected in 2014 – meaning programs could not be operational until 2015. This means the “bridge plan” is the only alternative to address affordability and continuity of care issues. Covered California has proposed a policy of requiring employees and contracters (like assisters and navigators) to undergo background checks and fingerprinting as they may have access to consumers’ personal information. Some advocates felt that this policy may pose a financial hardship on community organizations interested in hiring assisters (organizations would have to pay the estimated $65 per person) and may also limit the people eligible to become assisters, especially from certain communities. The board took comment, but no action at this time. Staff provided an update on the Special Legislative Session. The Individual Market reform bills (ABX1 2 and SBX1 2) have advanced through Health and Appropriations Committees and could have floor votes this week. The discussion around geographic rating regions have been contentious, and if major changes are adopted, could mean a 3-4 month delay in Covered California roll out, according to the Exchange’s director of policy David Panush. The Medi-Cal expansion and simplification bills (ABX1 1 and SBX1 1) have advanced through the process as well and will likely see floor votes next week. A spot bill has been introduced to implement the Bridge Plan but details are not yet available, the bill number is SBX1 3 (Hernandez). Regular Session bills have also been introduced, many right before last week’s deadline, so more information will be available next month. The Outreach and Education Grant Program is moving forward with over 300 organizations and coalitions submitting letters of intent. An additional 50 letters were received expressing interest in outreach and education specific to the SHOP exchange. Covered California Director Peter Lee has been in discussion with six foundations who are interested in supporting similar work. Covered California is expecting to award 100 – 150 grants, and those who are not awarded may be able to seek funding from those foundations. Proposals are due on March 4th, and awards are expected to be announced on April 26th. Staff has been working on numerous service center protocols, including customer service expectations that will apply across the board to all service representatives, whether they work for Covered California, the county human service departments, or other entities. Definitions of “Service Level Expectations” and “Warm Handoffs” were proposed. Staff reported great optimism that the promise of the Affordable Care Act – asking insurers to compete based on quality and affordability rather than avoiding sick people who need coverage – is closer to being realized. Consumer groups thanked the board for the “game-changing” work on standardizing benefits, a long-time goal of health advocates. Health Access and our allies have been working for years to win standardized benefit design – requiring a standardized design of health plans so that insurers can’t build in hidden costs and consumers can know what they are getting and how much they will be responsible for paying. Covered California will be implementing this game changing reform that will truly allow consumers to shop for health insurance with their eyes open. Though details of the health plans bidding to participate in Covered California are confidential, staff is confident that plans will be expanding their networks and providing more high quality coverage to California consumers. Staff is reviewing bids now, and final contracting will be complete by June. 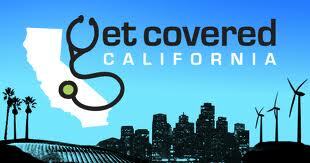 The next Covered California board meeting will be held on March 21, 2013. Before that meeting, there will be at least one stakeholder advisory committee meeting. This Thursday, the Marketing, Outreach, and Enrollment Assistance Advisory Group will meet via webinar from 9:00 AM – noon.